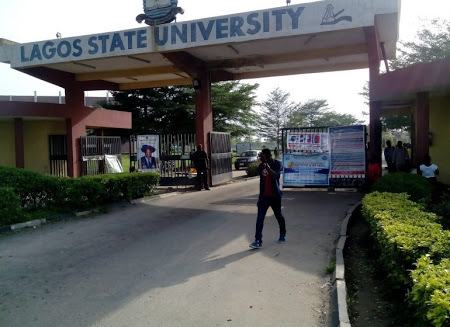 Prof. Olanrewaju Fagbohun, Vice-Chancellor, Lagos State University ( LASU ), on Wednesday warned new intakes that the institution would not tolerate indecent dressing on its campuses. Fagbohun said this at the 2017/2018 matriculation ceremony of the University at its Ojo campus. “The University has zero tolerance for any form of indiscipline, indecent dressing, rude behaviour and disrespect to constituted authority,” the VC said. He urged the matriculating students to focus on their studies and strive to excel in both character and learning. Fagbohun said the institution would strive to provide adequate facilities and conducive learning environment for students to explore and maximize their academic potential. “Let me emphasise that your admission as students of Lagos state University is not enough for you to rest on your oars, indeed, this has thrown at you both opportunities and a challenge to engage in healthy intellectual competitions. “At the end of the day, you must all excel in both character and learning, bearing in mind that penalty to cultism is expulsion,” he said. The VC urged parents of the new intakes to continue to nurture their wards by giving positive counsel, as much would be expected from them henceforth. “Starting off is good, but nurturing them through it is the most delicate part; I wish to implore parents to continue to look after these young adults. “The fact that they have gained admission to the university does not take them out of the range of parental care, so parents should counsel them against bad association and negative social influence,” he said. The Vice-Chancellor said the institution had developed a culture of rewarding excellence by establishing a university Scholars Award to challenge new students. "Students who distinguish themselves academically by maintaining a cumulative grade point average of 4.50 and above will be rewarded at the end of every academic year,” he said.